In a previous post, I presented a massive list of free SEO tools that can help you accomplish various SEO tasks (e.g., backlink investigation, keyword research, etc.). I received a lot of positive feedback about that list, but people consistently requested more SEO analysis tools. Since I’m a man of the people, this post is completely dedicated to SEO analysis tools. For each tool, I’ve provided a brief overview of its functionality, and I’ve also included helpful screenshots along the way. After you finish this post, your SEO analysis toolbox should be overflowing with goodness! WooRank is a freemium tool that provides an “instant website review.” Without a premium account, you are only allowed to generate a limited number of free reports, but you are able to view previously generated reports. Also, the tool currently offers a 7-day unlimited free trial, which gives you access to unlimited reviews. If you’re interested in purchasing a plan, the cheapest one is $49/month. Marketing Checklist – These are the most important action items for your site. SEO – This section checks if the site is following various on-page and off-page SEO best practices (e.g., appropriate title and description, keyword consistency, backlink count, www/non-www canonicalization, XML Sitemap usage, etc.). Usability – This determines if your site is user-friendly by evaluating various usability best practices (e.g., the existence of a custom 404 page, above the fold content, structured markup, etc.). Social – This quantifies your site’s popularity on social networks, and it reproduces various social data found elsewhere (e.g., profile information on Facebook, Twitter, Google+, etc.). Common SEO Issues – This section includes a wide variety of SEO checks (e.g., keyword usage in important markup areas, an appropriate code to text ratio, the existence of a robots.txt file and an XML Sitemap, HTML standards compliance, SEO-friendly URLs, etc.). Speed Optimizations – This covers various load performance-related checks (e.g., page size, compression, caching, minification, server speed, etc.). Server & Security – This section identifies a few important hosting and security characteristics of the site (e.g., proper canonicalization, appearance on suspicious blacklists, providing unnecessary access or displaying potentially sensitive information, etc.). Mobile Usability – This checks if your site is mobile friendly by providing a snapshot of what it looks like on mobile devices and looking for media queries. Social Media – This section helps quantify the site’s social engagement by providing share counts for various popular social media sites. Semantic Web – This tries to determine if the site is using structured data (e.g., schema.org microdata). Site Auditor is one of the SEO tools provided by Raven Tools as part of their Internet marketing solution. After you run Site Auditor on your website, the tool presents a report that summarizes its findings. Currently, Raven Tools offers a 30-day free trial for Site Auditor (and all of their other tools). Once your free trial expires, the least expensive premium plan is $99/month. Visibility – This summarizes your site’s visibility for search engines (e.g., which pages are blocked by robots.txt and/or robots meta tags, which pages cannot be found, and which pages return redirects). 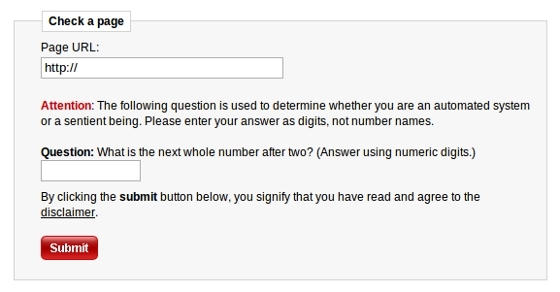 Meta – This section identifies the site’s most important metadata and corresponding duplication (e.g., duplicate titles, duplicate meta descriptions, etc.). Content – This presents important characteristics for your site’s textual content (e.g., title, link counts, word count, existence of internal duplicate content, etc.). Links – This section lists information about the site’s internal and external links (e.g., anchor text, if the links are broken, if the links are nofollowed, etc.). Images – This shows your site’s images and corresponding metadata (e.g., filename, alt text, title text, size, etc.). Semantics – This section offers information about the site’s headings (h1, h2, and h3 tags) and schema.org microdata (items and types). Desktop Page Speed – This gives your site’s desktop page speed results: a numerical score and corresponding speed-related best practices (e.g., avoid page redirects, enable compression, reduce server response time, etc.). Mobile Page Speed – This section displays your site’s mobile page speed results: a numerical user experience score, a numerical speed score, corresponding user experience best practices (e.g., size content to viewport, size tap targets appropriately, etc.) and speed-related best practices. Crawl Comparison – This compares different crawls of the site (performed at different times) to evaluate how the site’s issues are changing over time. 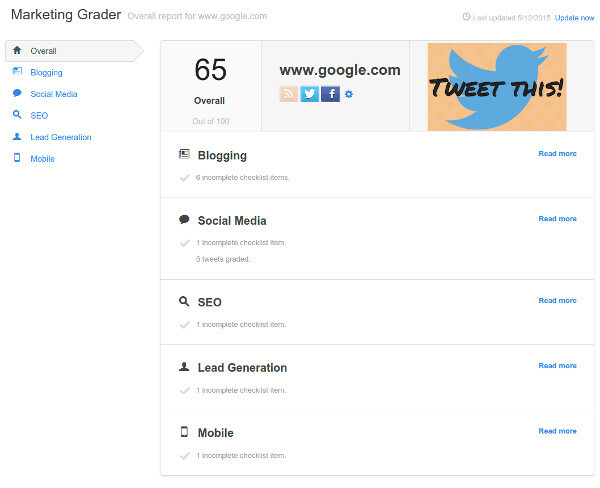 Unlike many of the other SEO analysis tools on this list, which focus primarily on your site’s SEO activities, Marketing Grader digs a little deeper into your company’s online marketing strategy. Blogging – This section investigates your blogging activities (e.g., does your site have a blog, does it have social sharing buttons, etc.). Social Media – This section evaluates your social media activities (e.g., are you using Twitter and Facebook, do you link to your profiles from the homepage, etc.). 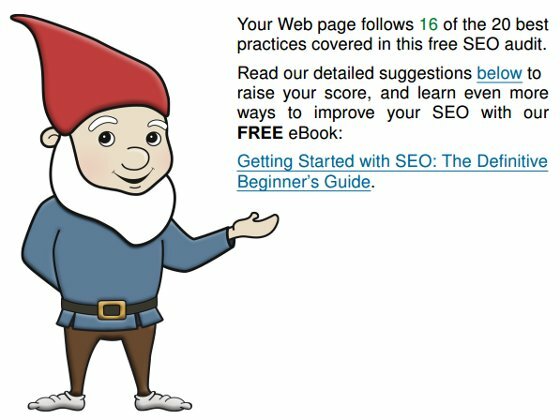 SEO – This section checks a few important on-page and off-page SEO ranking factors (e.g., titles, descriptions, backlinks, etc.). Lead Generation – This section analyzes the effectiveness of your landing pages (e.g., are you using forms to capture leads, are you using analytics software to measure your results, etc.). Mobile – This section determines if the page is mobile-friendly (e.g., are you using @media queries or a mobile stylesheet, do you have a meta viewport tag, what does the page look like on mobile devices, etc.). 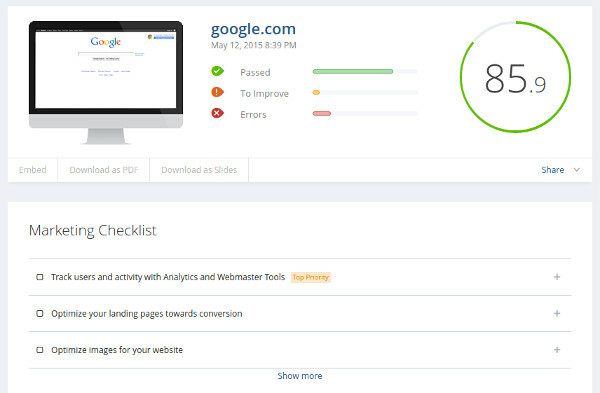 Site Analyzer is another free SEO analyzer, and it presents 71 data points, which are organized into 5 groups. 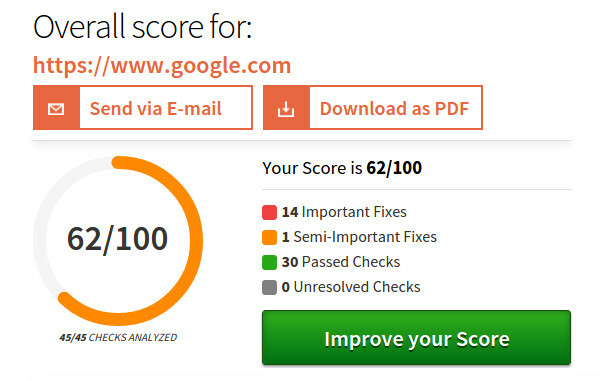 After you perform an analysis on your site, the tool presents an overview, which includes a global score as well as accessibility, design, texts, multimedia, and networking scores. Accessibility – This includes general data about the site (e.g., if compression is enabled, whether page caching is allowed, download time, etc. ), URL optimization, server configuration (e.g., hosting environment, IP address, etc. ), internationalization, mobile compatibility, and more. Design – This section describes how well your site has implemented various HTML/CSS elements (e.g., meta tags, page segmentation, CSS elements, scripts, etc.). Texts – This shows important text-related information such as a page’s title, text/code ratio, headings, keyword density distribution, and keyword usage. Multimedia – This section is dedicated to images (e.g., the number of displayed images, the use of alt text metadata, etc. ), Flash, frames, and icons. Networking – This covers internal links (e.g., link counts and percentages, nofollowed links, link attributes, etc. ), indexation (e.g., existence of a robots.txt file and an XML Sitemap, indexed page counts for various search engines, etc. ), and connections to popular social networks. Lipperhey is not as popular as some of the other SEO analysis tools, but it still presents a lot of important information. Similar to previous tools, Lipperhey generates an SEO analysis report based on the URL you provide. Visitors – This estimates the number of visitors your site receives, and it helps quantify the site’s social engagement. Indexability – This section summarizes the site’s indexability for search engines (e.g., does the site use a robots.txt file and an XML Sitemap, does the site avoid Flash and frames, etc.). Hosting – This includes information about your site’s hosting infrastructure (e.g., server location, hosting IP address, www/non-www canonicalization, download speed, redirecting domains, etc.). Design – This section previews how the site appears on mobile devices, and identifies a few other design-related elements (e.g., inline style elements, images, etc.). On-Page SEO – This illustrates how well your site has optimized various HTML elements (e.g., title, URL, meta description, headings, etc.). Rank Analysis – This category identifies whether or not the site is ranking in Google and Bing for the targeted keyword. 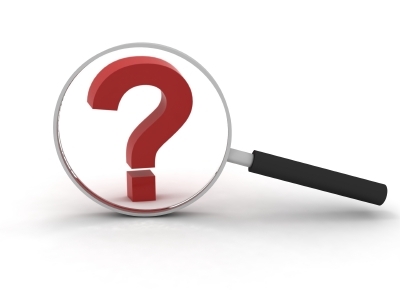 On-Site Analysis – This simply checks if the targeted keyword is being used in the homepage’s title and body. Website Accessibility – This category ensures that the site’s homepage loads quickly and is accessible to search engines. HTML Markup (<body>) – Are the HTML <body> tags (e.g., headings, images, etc.) optimized? I would love to hear from you in the comments. Which of these tools is your favorite? What other SEO analysis tools should everyone be using? NIce list. I’ve used about half of those. Woorank is pretty quality for what you can get for free. I would say though that a good SEO brain is always the basis for any analysis. I mean, tools are great, but you need a sharp brain to make it all work. Plus machines will always miss nuances that a good SEO will catch. Great article, and thanks for the list! Quite of few tools I haven’t heard of. I’m using them now! Thanks. Thanks for the comment Philipp! And you’re right… BuiltWith is a great tool (it’s on the list of 33 free SEO tools I mentioned at the top of this post). By the way, if you look for a powerful crawler, then you should use screamingfrog.co.uk /seo spider/. The basic version is free and can tell you a lot about the onpage factors of your site. I hope it helps you. Thanks Steve for the mention about Seoptimer.com! I’m very happy that my tool is on your list. This really motivates me to continue working! You’re very welcome Pawel… I told you I’d pump out a post about SEO analysis tools eventually 🙂 Keep up the good work with Seoptimer! Curious what paid tools do you use? Have you tried Raven, GinzaMetrics, AnalyticsSEO, etc.)? This is probably blasphemy so I’m going to whisper… I don’t use any paid tools. I spend most of my time doing SEO audits, and my entire workflow uses custom tools that I’ve written myself (or free tools). In the past, I’ve used the paid versions of the top backlink tools (e.g., Majestic, Ahrefs, OSE, etc. ), but I was doing so much analysis work on my own that it stopped making sense to pay for a lot of the functionality I already had in-house. With that said, I’m probably going to re-evaluate a lot of paid tools in the coming months so I’ll definitely let you know if I go back to any of them (or incorporate new ones into my workflow). Great set of tools here, not seen all of them. 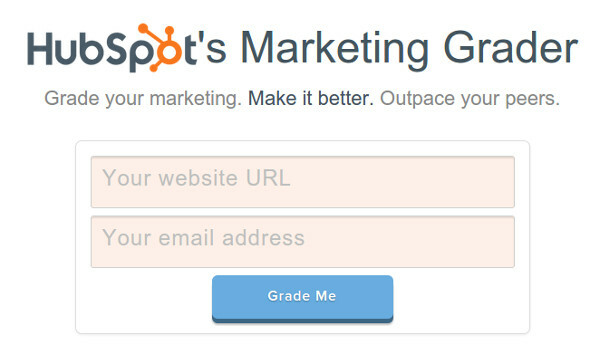 Really like Hubspots approach, although had a few issues with it not detecting what it should. Great Post! Lots of great tools in here. 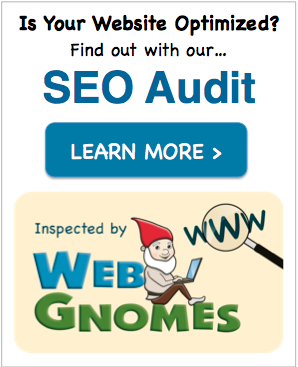 One tool I found useful was the FOUND SEO Audit Tool. That tool helps me a lot when I’m doing website audits. SEO Workers is great and these others are good too, bit hard to believe that they’re free! Thanks for this and sharing some great tools! Thanks for your kind words 🙂 I’m really glad you found the list useful. 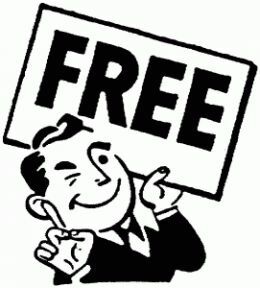 I’m right there with you… I’m constantly amazed by how much people are willing to give away for free. I love being in an industry that is so open and helpful! 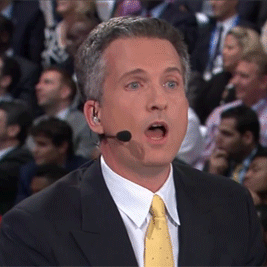 Lipperhey is awesome. the graphic it produces that points to the various web page parts is awesome to help explain deficiencies and onpage SEO concepts to my clients! Great list! Thanks for the comment, and I’m really glad you enjoyed the list! This is a nice list, indeed. My current employer sent me to your website. I am doing SEO work for him right now and am having a not so easy time getting his employers company at the top of all Google pages. 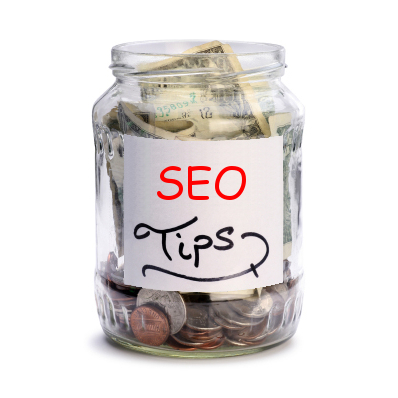 So, I am hoping one of these 10 SEO help sites will work for me. This is the most useful post I have read recently. Great thanks for collecting these services. These sites can really help with SEO and your service is also incredibly useful. Thanks! I would say that I am amazed by the features/details Woorank provides and is indeed very helpful…. Thanks to Steve for sharing these information. My website performance has significantly improved with the helps of these tools..
I’m glad to hear the tools were helpful 🙂 Thanks for the comment! Thanks for such a nice collection of SEO analysis tools. I have used 5 from the above list and find all of them to be very useful. WooRank is a great tool. I mean, tools are great, but you need a sharp brain to make it all work. Indeed. Your brain is obviously the most important SEO analysis tool. Great share steve, your list help me a lot. I found some new tools for optimizing site and solve lots of problem. Woo rank is one of my favorite and also helpful. I have receive so many different suggestions and errors by using some of tools from your list. You’re very welcome Vikram. I’m really glad to hear the tools helped you improve your site 🙂 Thanks for the comment! Great article, I have tried most of those tools, Since Raven Tools and AHREFS lost their Google Keywords API ive been on the lookout for more tools that I can use and that are affordable for a freelance SEO like myself. Great Article . I found very nice reference to analyze my site . Unfortunately, I don’t know of any tools that are focused on SEO analysis for South Africa. However, most of these tools should be country-agnostic, assuming the site’s language can be tokenized based on whitespace. I was really sad when Woorank decided to start charging for their services. The one report a week sometimes is not enough, but I can understand them wanting to turn a profit. Out of all the tools I have used it is still the best in my opinion. Thanks for the comment! Let us know what you think about Traffic Travis. It’s been around for a while, and it’s definitely one of the best free options out there. Wow Steve, Thank you very much for sharing these tools with us. You’re very welcome Amit 🙂 Thanks for the commenting! These tools are great! And… you’ve got a huge list of them too. The only thing that’s throwing me off is when I hit tab to switch comment fields (i.e. name, mail, etc), it jumps me to your “subscribe” field and I have to scroll ALL the way down again LOL. Anyways, it was worth me stopping by! Thanks for the comment Jeroen! I’m really glad you like the SEO analysis tools 🙂 Do you have a favorite from the list? This is cool, I really liked woorank however they allow only 1 free analysis report. http://www.seoworkers.com/ is also good. Thanks for the comment, Leon. You can do a lot with 1 free analysis report 🙂 Once you’ve established a baseline (and identified a site’s weaknesses) with the initial report, you’ll have all the information necessary to take things to the next level. Thanks a lot for this list. I am not sure, but I am missing a tool which goes a lot deeper in analyzing the backlink structure like searchmetrcis does. Can you be more specific? Are you looking for backlink data providers (e.g., OSE, Majestic, Ahrefs, etc. ), or are you looking for a visualizer (e.g., Cognitive SEO’s Visual Link Explorer)? This is one fantastic list. I’ve heard of only a couple so I’m going to do some digging into your list. Will definitely try your own option here first, thanks!! Thanks for your kind words 🙂 I hope the SEO analysis tools are helpful! I’m glad you’re enjoying WooRank 🙂 Thanks for commenting! Wow, great list! I’ve tested my website with almost all of them to get advices or ideas about how to rank my website higher. I’m really glad you like the list 🙂 Hopefully, these SEO analysis tools will help you improve your website’s optimization and ultimately your organic search traffic! Thanks Steve, that’s a really comprehensive overview! Especially I like how you mixed up well known tools everyone knows about (at least to me it seems everyone have checked HubSpot) and less obvious solutions, like SpyderMate (gonna have a closer look at it). As for my take, I’d like to point to WebSite Auditor website analysis tool. It could be on this list too, since there is a free version available (I’m using the paid one though). WebSite Auditor scans pages for code errors, duplicate content and other structure-related issues they may have. Other than that, there is this on-page optimization module, which allows determining the ideal keyword placement and researches page elements that can be optimized. 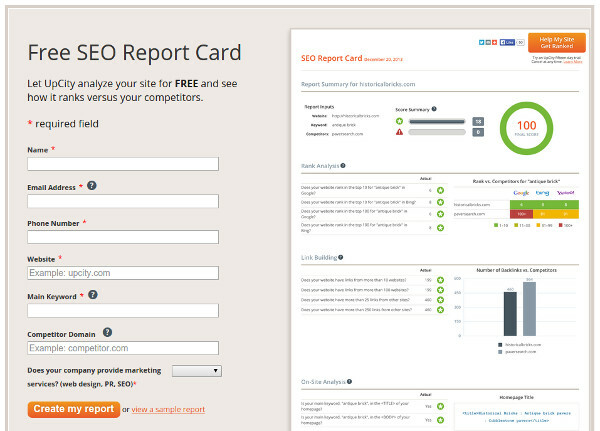 In WebSite Auditor you can also analyze competitor’s pages to compare of to improve own on-page strategy. There are actually more features, I just won’t be listing all of them here. But this is the best solution with regard to on-page optimization I found so far. Cool insights Steve, thanks for the writeup ! By the way, you could have included WebSite Auditor or Screaming Frog, without them the list doesn’t look complete somehow. However, I haven’t tried most of the tools so far, just played around with Woorank for a while, but 1 report per month wasn’t enough for me. Gonna have a closer look at some other solutions mentioned here. As I mentioned in a previous comment, WebSite Auditor was mysteriously left off the list at the last minute. Fortunately, another commenter provided a nice description. Screaming Frog is great, and it appears in our free SEO tools post. I didn’t list it in this post because it’s so much more than just an SEO analysis tool. WooRank is still one of the best SEO analysis tools out there. Are these tools ranked? I was wondering which would be your number 1 choice. I want to outfit my sales team with a quality tool they can use to report on a bi-weekly basis to our customers. These SEO analysis tools aren’t explicitly ranked (although the first few in the list are probably the most popular). As for outfitting your sales team, it really depends on what type of reporting you’re interested in. These tools probably aren’t the best choice for bi-weekly monitoring… an analytics package would be better for that purpose. I like two from this list i tested them all but these two were my favorite SEOpTimer and woorank mostly because they displayed results right away without trying to sell you something. I tested http://www.tjg-designs.com splash page and the results were right on. Thank you for the list it was fun testing each of these. Regardless, I’m glad you enjoyed the list, and thanks again for the comment. 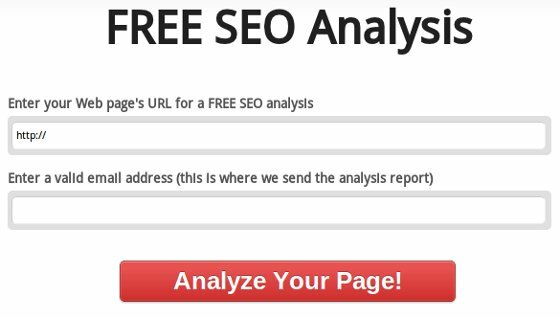 Great list of SEO analysis tool. I think they are good to check your website stats and fix some issues to rank better than others, I mostly use woorank they provide some good sort of SEO analysis. Thanks Steve! WooRank is definitely a solid SEO analysis tool. And as you mentioned, you should regularly check your site for issues (and correct any that you find). It’s also important to note that most of these tools only scratch the surface — for a truly in-depth analysis of your site’s SEO, you’ll need to dig much deeper (on your own or with professional assistance). Lovely article, thanks for the great software you linked. I’m also using advancedwebranking.com, the online software, and I found it to be a rather complete SEO solution. Thanks for this update and for including Raven Tools! We just added desktop and mobile page speed analysis to our Site Auditor, in case it’s been a while since you’ve taken Raven for a spin.